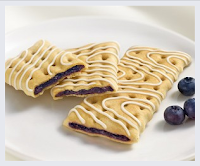 Reminder: Nabisco Cookies -- Become a Fan and check back March 1st! 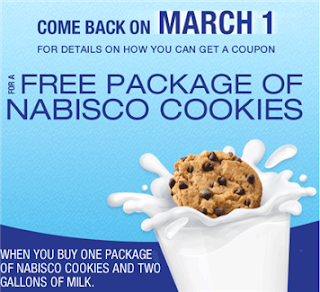 Nabisco Cookies will be offering up a nice coupon tomorrow, March 1st (see the above ad from their Facebook page). Become a fan here. 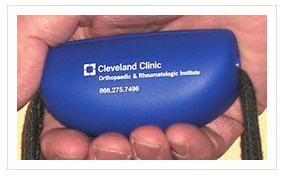 Get your FREE Soft Handle here from the Cleveland Clinic. The Soft Handle device helps you hold multiple bags at once. If you don't need one of these for yourself, it would make a nice filler item for a gift bag or basket. 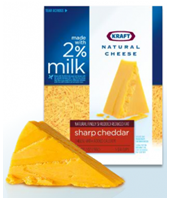 Kraft/Nabisco had out a $20 Rebate form that was available on the Kraft Website in August but is not longer available on their site. But, you can Find this Kraft/Nabisco Rebate Form on sale on ebay Here. Home Depot: FREE Kids Workshop - Sat. March 6th - Rain Gauge! 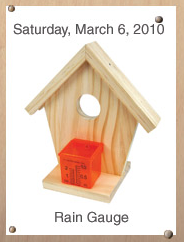 You and your kids can build this cute little rain gauge for FREE at Home Depot's Kids Workshop Sat. March 6, 2010 between 9-Noon. Register at your local Home Depot for the event. Coldwater Creek Pleated Scarf for just $3.74 (+ tax) shipped! Get your Coldwater Creek Pleated Scarf for just $3.74 (+ tax) shipped! Here’s how… just go here and add one scarf to your cart. Start the checkout process and use coupon code WHH8520 which will deduct an additional 25% off your purchase and score you FREE shipping! That’s it! 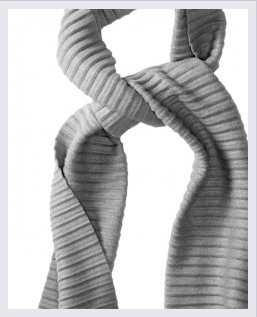 This scarf would make a great inexpensive gift… or even a gift for yourself! **To sweeten this deal further, do your shopping through ShopAtHome! You’ll get 4% Cash back from your Coldwater Creek purchase! 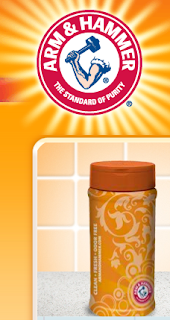 Sign up for Arm & Hammer's newsletter here and recieve a FREE Baking Soda Shaker. Hurry, it's only available to the first 5,500! Reminder: Lowes -- FREE Build and Grow Clinic this Saturday 2/27! Just a reminder that tomorrow Sat. 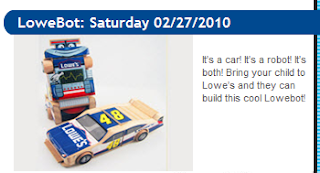 2/27 is Lowes FREE Build and Grow Clinic for the LoweBot. Quiznos: FREE Chips and Fountain Drink w/ purchase of any Reg. Sub & more! Get your hot Quiznos coupons here. What a great deal! 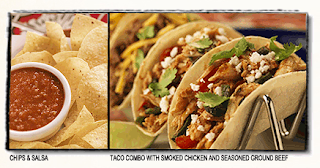 Chili's is offering pick an appetizer AND an entree for just $9.99! If you split with someone, that makes your meal only $5! 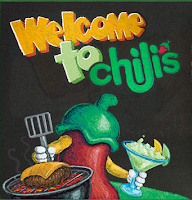 And don't forget to sign up for Chili's e-mail club to get your FREE Chips and Queso! Thanks Smart Couponing for the Chili's Combo deal! 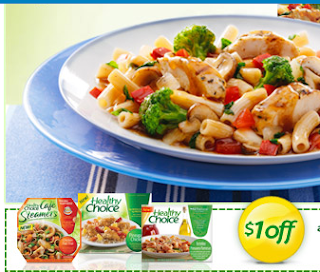 Get your coupon for $1/2 Healthy Choice Frozen Meals here. 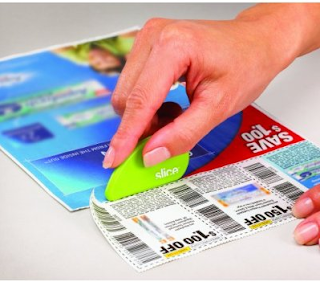 Slice Coupon Cutter for $6 + FREE Super Saver Shipping on Amazon! Shop at Amazon.com and order your Slice Safety Cutter (great for cutting coupons). 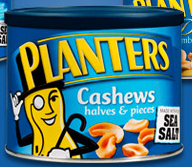 They sell for $6.03 and are eligible for free super saver shipping! Pet Supplies Plus has Tidy Cats Cat Litter on sale for $2/6. 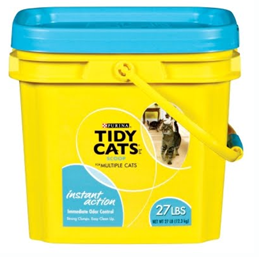 Combine with a printable coupon for $3 off Tidy Cats 20 lbs or larger. Print 2 coupons and you will get 2 Tidy Cats for FREE! GO HERE to find a location near you, they are found mostly in the Eastern U.S but for us MN's, we can find stores in Bloomington and Burnsville. The coupon does day PetsMart Coupon but the word on the street is that Pet Supplies Plus does take competitor coupons. 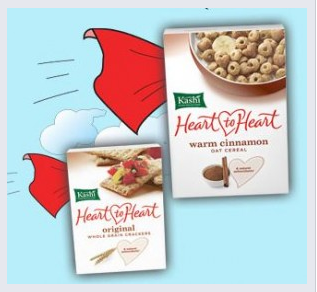 Get your $1.50/1 coupon for Kashi Heart to Heart Cereal or Crackers. Or head over to VocalPoint and click on the last tab at the top right of the chalkboard labeled "Get a Coupon" to print another $1.50/1 coupon. 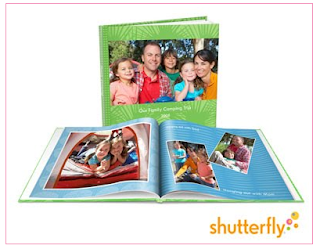 Okay, the word is (from various sources) that people who have signed up for the David's Bridal E-Newsletter have received an e-mail witha code for a FREE 20 page Shutterfly Photo Book. I can't promise that you will recieve the same offer, but I'm signing up on the chance that it will come through. 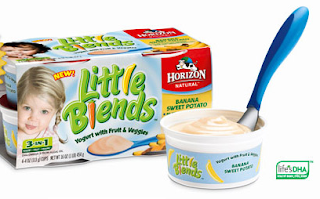 The Limited just released a bunch of *HOT* new coupons, valid thru March 18th! Get your Hot Coupons for The Limited Here. Some highlights: $30 off any dress, buy one get one FREE accessories, 40% off a top + MORE! Please keep in mind that these coupons cannot be combined with sale or clearance items and other exclusions do apply. Get your FREE Microfiber Towels here. (After you register, an ad will pop up, just exit and you will see that your submission went through). OK everyone, eyes PEELED for this one!!! 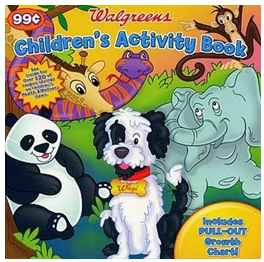 There is a NEW Children's Activity Book at Walgreens! So be on the lookout.....It is usually around the pharmacy area and it costs $0.99. The great part of this book is that it has some coupons stashed inside for parents! 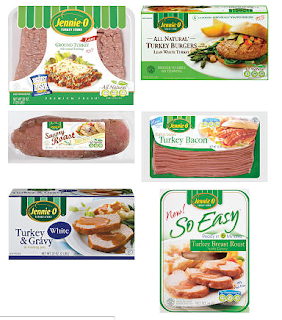 The Jennie-O-Turkey store has created a website to help people achieve a healthier lifestyle. Right now, when you register for WellnessDaily.com, you can print a full product rebate (up to $5 value) and have an opportunity to win a gym membership for the first 25,000 users. Also, if you tweet about this promotion, you’ll be eligible for a chance to win a prize package which includes coupons for a year-long supply of Jennie-O Turkey and a gym membership (valued at $1250). More info Here. Update: Find Jennie-O $.55/1 coupon in 2/21 SmartSource. Also coupon for $1/2 in 1/3 SmartSource. Coupons expire March 2, 2010. Prices vary by location. Prices should be about the same at CVS and Walgreens. 3 FREE Olay Body Wash Deal (w/ MIR)! And that's shipped right to your door--FREE! So if you haven’t figured out how you are going to do your Olay Scenario and need another option, here it is! *If you are new to Alice you will also get $10 off when you purchase $50. This doesn't have to be all at one time. 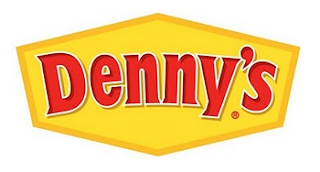 Remember all the great new offers from Denny's that I told you about here? 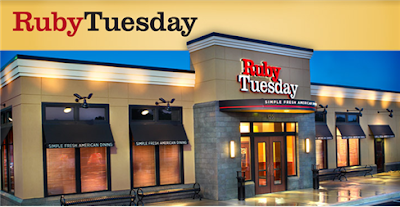 Well this is just a friendly reminder that you can get unlimited french fries and pancakes when you dine there. Oh ya, and as usual, you still get free beverage refills! 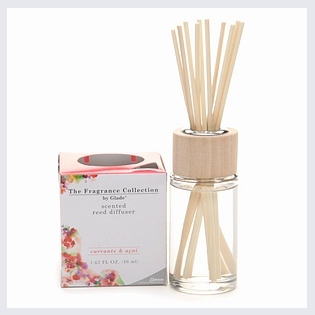 Get your coupon here for $2/1 Glade Reed Diffuser or 3-Wick Soy Based Candle (use your back button to print 2). 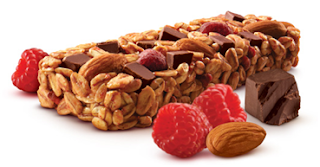 Pair this with the Target mobile $3 coupon. 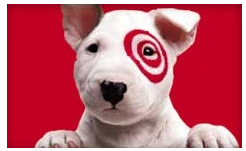 For a sweet deal at Target. Check Walgreens clearance for the 3 wick soy based candle. There is also word that Walgreens will have a coupon in their March coupon book -- $2/1. Thanks KC Penny Pinchin mama! Get your FREE Sun-Maid recipe booklet here! 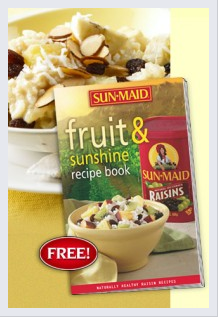 YourFREE Fruit & Sunshine Recipe booklet is filled with 17 different recipes! 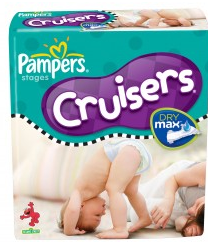 Sam’s club is offering up a FREE Sample of Pampers Dry Max. You must be a member though. GO HERE to request yours. *membership # is required. If you don’t qualify for the above one, GO HERE and see if you can snag Pampers Dry Max Free samples from P&G Solutions. Michael Angelo's: Buy One Get One FREE Single Serve Meal! 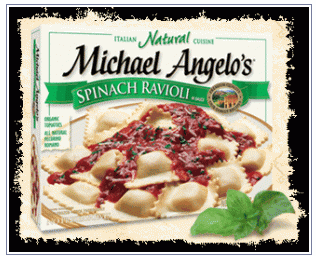 GO HERE to score a One FREE Michael Angelo's Single Serve Meal. Register or login and simply leave a comment as to what is keeping you busy at work. UPDATE: Once I registered, all I had to do to get the coupon was watch a short video (I watched "how to cut an onion without crying" -- very informative by the way). While your watching the video, you can answer 3 questions about the video and submit. The coupon will then be e-mailed to you and you can print. I did not leave any comment. UPDATE: This Deal is no longer available. Sorry to those who missed out! 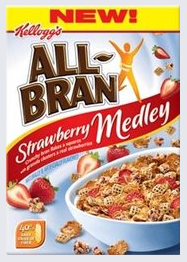 Go here for your FREE All-Bran Promise Pack! Who knows what's in the promise pack, but won't it be exciting to find out? Get your FREE One Year Subscription to Ladies Home Journal Here! 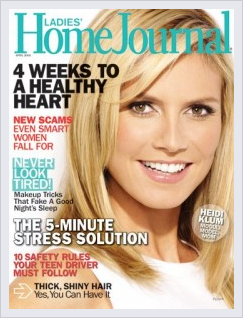 The free magazine subscriptions always go fast so, hurry! Thanks The Krazy Coupon Lady! 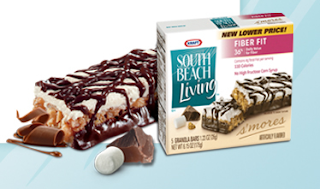 Get your free sample of South Beach Living Fiber Fit Smores Bars here. Sounds Yummy! 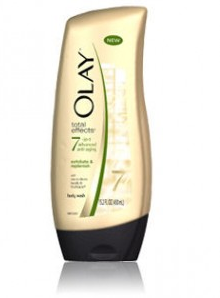 Get your free sample of Olay Total Effects Body Wash here. Final cost $12 total– just $1.20 each! 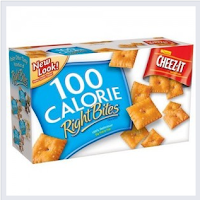 Final cost $1.95 total– just $0.39 per box! 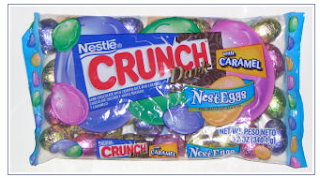 Final cost ONLY $1.95 total, just $0.39 per box! 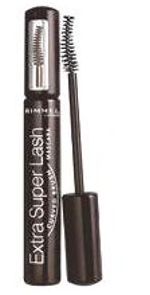 Final cost FREE or bring in your CVS ad and get buy 1 get one for 50% off (Target will price match) then your total is $1.34 for 2 mascara's! Final cost ONLY $3 total– just $0.75 per package! **After you purchase the yogurt, you may get a $1 Target Store Catalina coupon (if your local Target is equipped with the new Catalina machines). Plus, there should be a $0.75 or $1 coupon inside the package! Combine both these coupons to score FREE yogurt + possibly make some overage to go towards other items! Final cost $2 per meal! Final cost ONLY $0.43 per box! Final cost $1 per box! 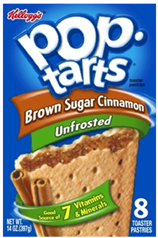 Final Price = $1 per box!